MethylGenetics is the use of your unique genetic code to help diagnose conditions and choose appropriate nutritional support. Genetic variants are mutations that stops or slows the production of the enzyme needed for the creation of products needed for critical body functions. Genetic variants in our DNA are responsible for high oxidants, low antioxidants and a low ability to rebuild and restore our body and its functions. Oxidants are a byproduct of energy production in our body and unchecked cause oxidative stress on the cells/tissues/organs of our body. Oxidative stress has been linked to many different diseases in our body including cancer. Antioxidants are the counter to oxidants. Low levels of antioxidants allow oxidants to run unchecked. Your DNA is tested through a simple saliva test. The DNA is tested at a laboratory and the results are interpreted by Dr. Sole. Based off of your unique sequences of genetic variations a neutraceutical plan is developed in order to help your body run more smoothly. 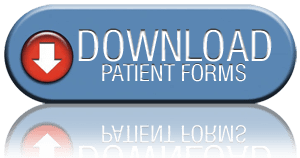 Download Patient Forms prior to your visit to our clinic.